So, your church wants to fulfill its ministry programs. And you’ve decided to embark on a construction project in order to meet these needs. Maybe you’re expanding your worship center for growth and community outreach, or adding a multi-purpose family center to support youth and family activities. Perhaps you need an entirely new facility. Unfortunately, many of these projects cannot be realized due to difficulties in obtaining financing. 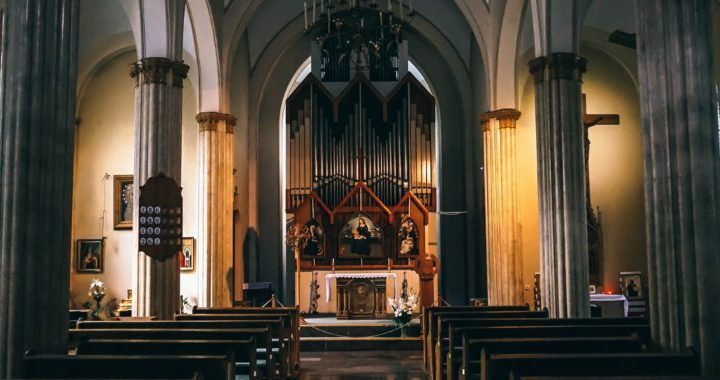 Church lending has become a whole new game, but many are not learning about the new rules until they show up to play, only to find they are ineligible or don’t meet the criteria. Many church lenders from past years are no longer making loans for various reasons. It may be that they have no money, or they have changed their target audience, or the bar for qualification is so high that it is constructively the same thing as not lending to churches. Whatever the reason, the effect is the same: Fewer places to find money with which to build. So what do you do? Some history on the church and its leadership. A list of givers and/or pledge cards that are the result of any capital campaigns. At least two full years of income/expense statements, plus the current partial year. A recent balance sheet showing the assets and liabilities of the church. This document should show any buildings and land the church currently owns, as well as any pledges made during a capital campaign. A projected income/expense statement showing how the church intends to cover the debt service. Will there be an increase in cash due to a large amount of pledges or a single donor? Will there be a reduction in existing expenses? What additional expenses will be incurred after the project is complete? The two biggest changes in the current church lending environment are found in the calculations for loan-to-value (LTV) and the net income with which to service debt. Very few lenders will loan 80% of project value; many have dropped to only 70% or even 60%. And project value is typically declared to be the lesser of the cost of the completed project or the appraised value. Net income is also closely scrutinized by a lending institution. Be prepared to demonstrate that the church’s cash flow will cover the new debt service. Most lenders are interested in the four C’s: Capital, Cash Flow, Collateral, and Credit. Capital demonstrates liquidity and ability to provide a down payment, typically 20-30% of the project value. Cash Flow or income is an indication of the church’s ability to repay the loan. An approximate guideline is that the church’s monthly mortgage payment should not exceed 35% of the undesignated tithe and offering income. Another way to look at it is to say that the loan amount should not exceed 3 to 3 l/2 times the annual undesignated income. For example, if the church’s annual income is $500,000, they might qualify for $1.5-$1.75 mil loan. Collateral assures the bank that they will be protected. The more un-encumbered collateral you show, the better. And Credit, of course, demonstrates the past payment history of the church. Remember that your lender has much more flexibility if you are current on your obligations. Once your information is assembled, consider to whom to present the information. Certainly consider conventional financing as an option. Start by speaking to a loan officer at the church’s current bank. But don’t forget about the local community banks and credit unions; their regulations are often less strict than many of the mega-banks. Some church organizations offer their own loan program. Ask other church leaders about their experiences and who they used to finance their projects. Church bond programs differ from conventional financing in that a bond program involves many lenders whereas a conventional program only involves a single lender. While a church bond program may have somewhat higher closing costs, they are often easier to qualify for. Church members are given an opportunity to buy bonds as an investment in their own church, generally getting a better return on investment than alternatives. While times have changed and church lending is a whole new game, you can win. Understand the new rules, be realistic about your expectations, and be prepared. The more prepared you are to answer the lender’s questions and present your story, the better your chances to obtain competitive loan terms. Good luck!